Home Design to Sell or Dwell Since 2008, I have worked as a Realtor. The best part of my job was helping clients prepare their homes to sell. In 2013, I began staging all my new listings and noticed that they sold faster and for more money. I was SOLD! We know what it takes to help clients showcase their homes to their full potential in order to give them the marketing edge to stand out against the competition. Creating beautiful interior environments has always come naturally to Robin, whether an entire home or just a single table setting. For years she has used her gifts to not only make her own home attractive and inviting, but those of her family and friends as well. Now she applies that same talent and enthusiasm for the benefit of her clients. Their homes now beckon each visitor with the same message, “Come on in, be comfortable … for a little while … or forever.” Robin completed a course and became certified in Home Staging through the Haverhill Institute of Staging and Design in 2009 to complement her skills. I am the principal designer and owner of Horizon Interior Design. I graduated from Oakland University in 1998 with a Master in Physical Therapy, and enjoyed a successful career as a therapist. I worked in home care, and found it intriguing to see the environments in which my clients lived. I grew a passion for interiors over the years, not only to make homes safer for my patients, but more comfortable and beautiful. I enrolled at Baker College to gain a formal education on interior design, and worked as a design assistant for a highly successful designer in Birmingham, MI. I am excited to create spaces that marry form and function, are beautiful and meet the needs of each client. I live in Rochester Hills, Michigan, with my husband and two sons. The home staging business was originally created to fill a need for homeowners selling their home trying to get the edge on their competition, however, over the past few years home staging has expanded to assist people in their current home by staging (decorating) to “live – in”. Why stage your home? Regardless of the Real Estate market selling your home is all about getting the top dollar and selling it faster! 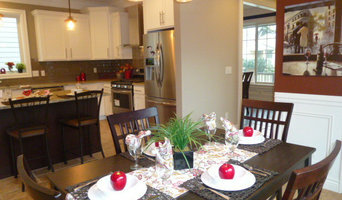 Home staging is the art of selling your home faster and for more money. In today’s real estate market 90% of buyers are shopping online for their home. The longer your home is on the market buyers are wondering what is wrong with it! Why hasn’t it sold! After 30 days with little interest and no offers your realtor will suggest you lower your price. STOP THERE! Before you agree to lower your price contact WhyteHouse Staging & Re-Design LLC for a consultation. The investment of staging your home is far less than the cost of lowering your price. We have been trained to look at a property and quickly understand why it has not sold. We are looking at your home through a “buyer’s eye” which is very different. We know what buyers are looking for and we can make those changes and get your home sold. We work very closely with our clients whether they are preparing their home for sale or just want a new fresh look to their home. We work within your budget. WhyteHouse Staging & Re-Design LLC is here to help you make your dreams come true. Impact Interior Design Solutions has been serving Oakland County and the metro-Detroit area for over 12years. Providing professional merchandising (staging) services to Realtors, real estate investors and homeowners . Our specialty is to turn ordinary into beautiful. Our focus is budget minded design. 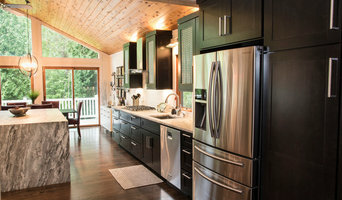 We can handle full scale remodels or final tweaking if that is all that is needed. BLOOM That ROOM is a Real Estate STAGING/Home Styling/Color Consulting/Interior reDesign company that will help you re-imagine, re-purpose, and re-create your home.. whether you're Staging to Sell or 'Stayging to Stay'. Based on your budget, BtR will: > re-envision the possibilities > showcase the lifestyle, and... > enhance your home to it's fullest potential A BtR Staged home will: > be custom staged based on the targeted demographic > get your property camera ready to attract the broadest appeal > empower your Listing with professional photos > position your home with a strong internet presence > outshine the competition, > greatly increase your chances for a quick and profitable sale > Emotions Sell. Staging Works. The cost of staging your home to sell will always be much less than a price reduction. 'Get Staged n Get Sold'. 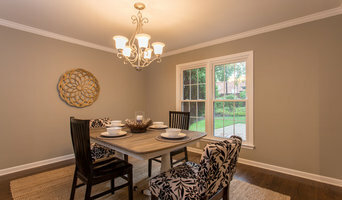 Downriver Home Staging LLC provides expert direction to professionally prepare client's homes to sell quickly and for more money. We partner with our client to identify solutions to make their home appeal to the majority of potential buyers by using the client's existing décor or sourcing new items to highlight the home's best features. Our goal is to find 'The Hidden Value in Your Home'. 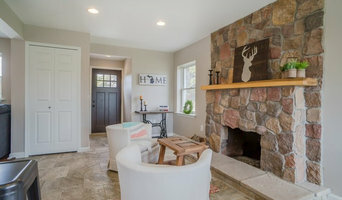 Why Home Staging is NOT Interior Design/Decorating, and Why Staging Sells Homes... Your home is a product that will need to stand out from its competition. Home Staging is a marketing strategy, not unlike those strategies used by large corporations to assure that their product outshines all of the others on the shelf. Now, more than ever, with upwards of 98% of home buyers shopping on the internet before contacting a Realtor, it is essential for your home to stand out in those listing photos The goal of an Interior Designer/Decorator is to imprint your own personal sense of style and taste into the decor of your home. Whereas, the goal of a Certified Staging Professional (C.S.P.) is to remove your personal imprint. In so doing, your home will be staged to attract a broader cross-section of your target market. And, after all, isn't that the goal you have in mind? Home Staging business that works closely with individuals who are preparing to sell their home. Services provided includes Home Staging Consultations, Vacant Home Staging and Occupied Home Staging. Fantabulous Interiors is an interior design and staging firm, focusing on the redesign and enhancement of residential spaces and small commercial venues. We also assist homeowners in the selling of their homes to shorten the length of time on the market and to secure the highest offer with the art of staging, utilizing the CSP (Certified Staging Professional) method. Other services offered include color consultations and residential renovation project management. I provide interior design services from a full remodel to space styling using your own items. Staging with Team Welcome Home is here to assist you. Home staging and decorating are 2 different things. Decorating is Personalizing your home for your everyday living and Staging is De-Personalizing your home when preparing to sell. Staging is not optional anymore it is a necessity! According to Realtor.com staged homes sell for 6-10% more and 87% faster. Home staging doesn't necessarily mean out with the old and in with the new. In some cases just accessorizing, adding a fresh coat of paint, and re positioning your current furnishings can give your home that updated look. Our GOAL is to provide you with EXCELLENT customer service and the most PLEASANT experience possible every step of the way! Remember, at Staging with Team Welcome Home "IT'S ALL ABOUT YOU!" Spotlight Staging is a premier home staging and design company specializing in getting homes market ready. From furniture staging and cleaning services to home improvement recommendations, we do it all! Idag finns det flera homestaging-konsulter men även större företag och inredningsbutiker i Detroit som kan hjälpa till att styla hemmet. Man kan både få homestyling tips inför visning och fotografering men om man för egen del vill förändra hemmet. Styling handlar framförallt om att få en enhetlig känsla i hemmet. Inredning ska ha en röd tråd och tydlig stil. I vissa fall räcker det med att styla vardagsrummet för att få en genomgående känsla i hela hemmet. Ofta behöver man inte ta till stora eller dyra medel för att homestyla. Det handlar snarare om att arrangera möbler, ljussättning och tavlor på rätt sätt. Tar man bilder före och efter homestyling så ser man att små medel ofta gör stor skillnad. Det kan räcka med att måla om eller rensa upp bland osammanhängande möbler. Ett homestylingföretag i Detroit, MI kan både ge tips på enklare och mer omfattande stylingmetoder allt efter vilket behov hemmet är i och vilken budget man har. Innan man ger någon ett inredningsuppdrag kan man söka inspiration i andra hem och miljöer för att bena ut vilken känsla man vill åt. Detta underlättar enormt både för stylisten samt en själv. Lycka till!